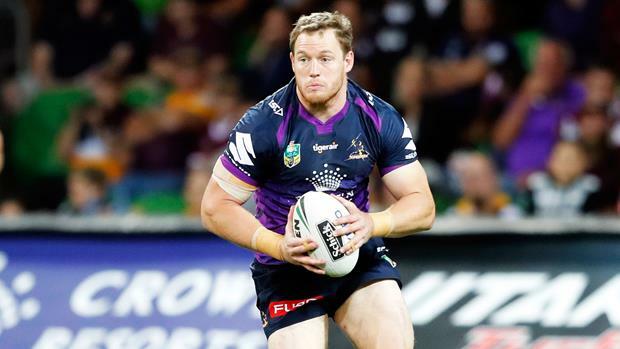 NSW back-rower Wade Graham has hit out at media criticism of Melbourne's Maroons debutant Tim Glasby, saying Origin debuts should be celebrated, not attacked. Graham's comments came in response to a News Ltd article that implied Glasby was not deserving of an Origin call-up. However the hard-working prop is a key plank of the ladder-leading Storm's outstanding defence (just 14.6 points per game conceded) and has been chosen to shore up Queensland's middle, which was viewed as a weak area in the wake of a heavy 28-4 Game One loss. "I saw that [article] and thought it was really poor form," Graham said. "To play at this level, a lot of hard work and dedication has gone into [it] and to achieve his dream, it should be a cause for celebration for him and his family. "I saw that on the back page and I was quite shocked to be honest. It was poor form. For his family to have to read that, they should be able to celebrate a lifetime's dedication." The article drew similar responses from elsewhere in the player community, with Manly's Jackson Hastings and Dragon Joel Thompson expressing similar views to Graham on Twitter. For Graham, the matter is somewhat closer to home given he played alongside Glasby when both were in the Penrith system and Graham had nothing but praise for the way the Rockhampton product had stuck at it in the Queensland Cup to eventually become a key part of the Storm system then earn an Origin debut. "Tim was always a talented player, he came down from Rockhampton, had a few years at Penrith and it just wasn't his time at Penrith but [his Origin selection is] a credit to him," Graham added. "He kept training, kept working hard. He found himself in the Melbourne system and forced his way into that team. "Over the last two years or so he's been a real mainstay of that team, he's played in a grand final now, he's about to make his State of Origin debut. It's a credit to him, his dedication, and to the way he kept going on. He could've given the game away by now, so congratulations to him." Blues coach Laurie Daley was also wary of the value Glasby could add to the Maroons line-up. "He's a good player," Daley said when asked about Glasby's call-up. "He's a guy that I'm sure, in particular the Melbourne Storm guys know a lot about him and Cameron [Smith] would have no doubt spoken to [coach] Kevvie [Walters] about the influence that he can have in a team. "He's one of the better defensive props in the game and he certainly does his fair share of work with the ball. With he and Jarrod Wallace coming in it gives them that extra bit of leg speed along with Coen Hess. They'll play to the structure and do what Cameron and 'JT' (Johnathan Thurston) and Cooper [Cronk] want them to do and that's just to do their job in the middle. If they do that it allows those other guys to do their thing. "He'll do his work with the ball, he carries the ball well, he lands on his front, he's got one of the quicker play the balls in the game and also he's one of the better defenders and he's very good at what he does."